Younger brother to Hurricanes flanker, Karl Lowe, Jonah represented New Zealand in the 2016 World Rugby Under 20 Championship. 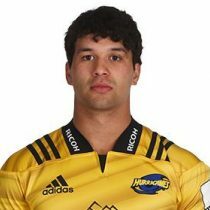 Following successful stints with Hawke's Bay and the U20 All Blacks, Lowe was pulled into the Hurricanes and is likely to make his debut in the 2017 Super Rugby season. In April 2017, Lowe was named in the Provincial Barbarians side to face the Lions in their tour opener in Whangarei on June 3. Capable of playing centre or wing he is known for his try scoring ability. Spent 2017 with the Hurricanes and impressed during the preseason. Lowe was included in the Hurricanes 2018 Super Rugby squad and will look to make his debut off the back of an impressive season with Hawke's Bay.